Well it's finally that time! 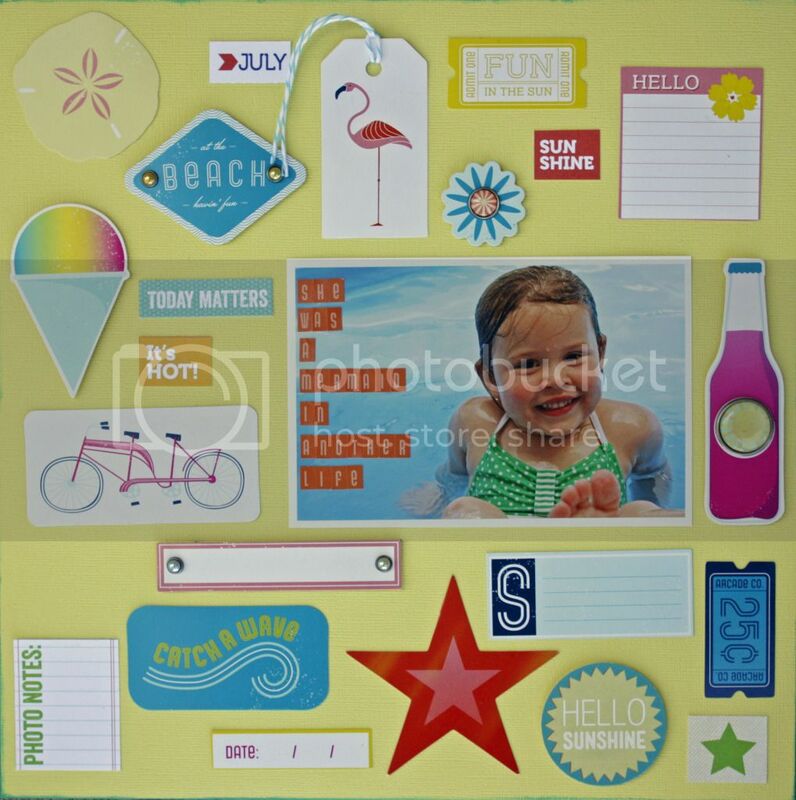 The August Scrapbook Circle Kit, True Stories is now available for purchase. Head on over here to take a closer look. I highly recommend adding the printable to your order as well. I used that a lot on my pages. I also used a lot of yellow from this kit. The bright colors were just calling to me. I also used my Silhouette to cut out the title in this font. Zoe would swim all day every day if we had a pool, she really is a water baby and spent as much of our vacation as she could in the water. Summer really kicked off when we started our vacation. June was/is so busy for us, we hardly notice it's summer. It really started to feel like summer after we went up to American Fork Canyon for a cookout. Zoe forgets how sticky s'mores are and always asks for one. About half way through, she gives it to Ryan and just asks for a plain marshmallow instead. I used the ES tags in combo with the printable for the tags here. Have I mentioned, I love this printable?!? Last is my favorite. 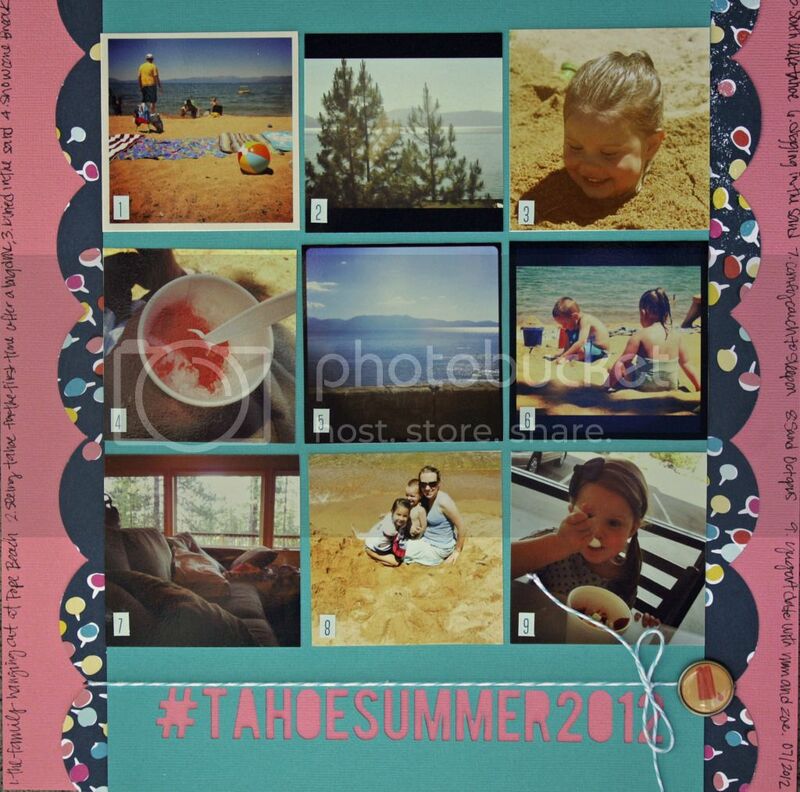 I used the hashtag #tahoesummer2012 to file all my instagram pictures from our trip, so I thought would be a fun title to use. I cut the title out with my Silhouette. I printed the instagram pictures 3x3 so I could make a grid and still have some room to journal. Hope you enjoyed my pages. 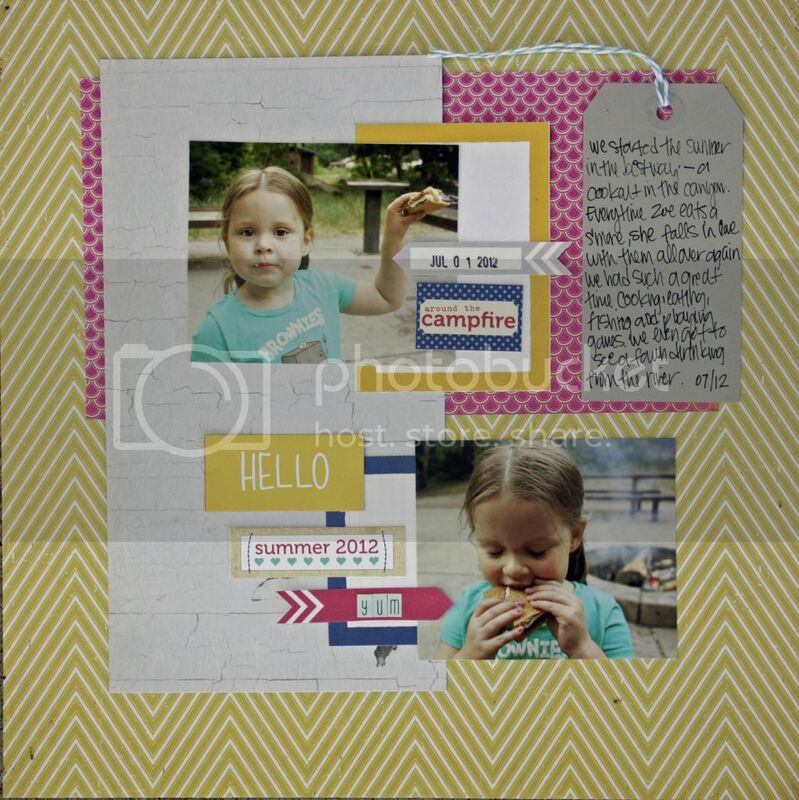 Check back to the Scrapbook Circle Blog later in the month for some tutorials for techniques I used this month.